Social Media is the fastest growing class of local marketing. It’s happening among SMBs as well as national companies that localize campaigns. We’re talking Facebook Pages for business locations (free), as well as native in-feed ads (paid) on Facebook, Twitter and LinkedIn. Beyond those usual suspects, I’ve written here about social content marketing such as Vine (see Yelp’s vine-like feature) Instagram (the fastest growing local marketing tool according to Closely). And we recently speculated the newest social-local play: Live video, a la Meerkat. But where is Snapchat in all of this? Its worth considering given that Our Stories — curated collections of snaps around a topic — can get up to 25 million views in the 24 hours they’re active. These are Oscar-scale, Millennial-rich, and live audiences that advertisers love. But what’s the local play? 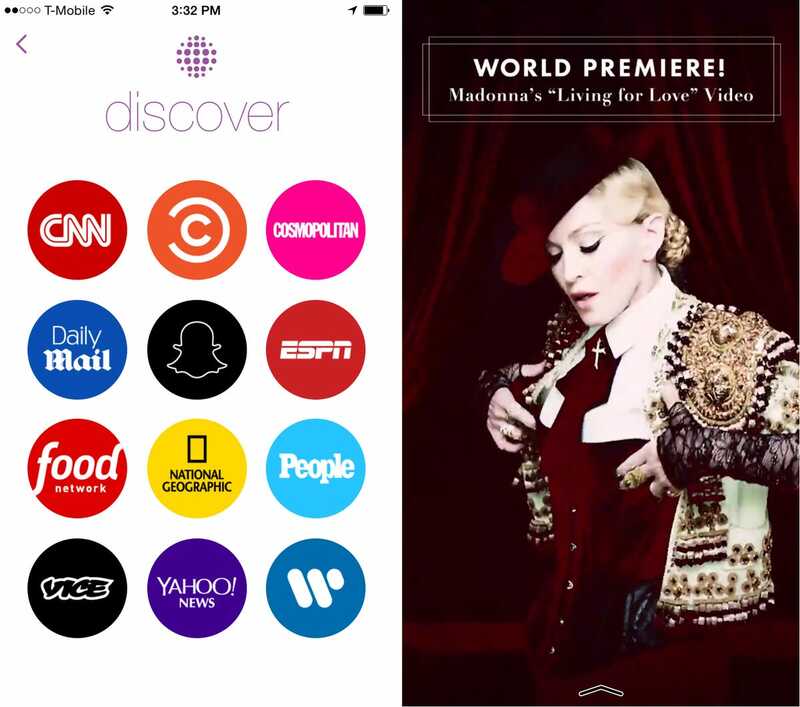 Snapchat began to answer that question in February by giving Our Stories a local spin. These are stories at and about a given location, viewable by people near that location (think college campuses). A bit less scale, but a lot more relevance. Then came a telling moment: Coachella. Following other location-specific Our Stories like the World Cup and Snowpocalypse, the local play started to come into focus. Legions of concert-goers used it as a way to share snaps or view others’ nearby. Highly immersive, highly local. The kicker is that anyone participating in these location-specific Stories — as viewer or contributor — makes their location known as a natural and unforced part of the experience. This has lots of localized marketing implications as shown by a few early examples. To put this in perspective, that natural opt-in is the holy grail of localized marketing. Without the opt-in at the app level (“this app would like to use your location”), ad networks infer location. This has engendered lots of bad practices, as exposed by Thinknear’s Location Score Index. Even when you can get the opt-in for GPS tracking, it consists of long string of numbers representing a lat/log. It doesn’t tell you that I’m at Walmart as opposed to the Starbucks next door. So opt-ins plus place relevance is a deeper level of context, as shown by xAd. And this is what Snapchat has found a way to get, similar to Foursquare check-ins but with deeper engagement. The question is what do they do with it. Most examples so far are with concerts and events, which are large audiences all in one place, but narrow in terms of vertical. Could the opportunity expand to smaller but more frequent Our Stories around localized promotions? Taco Bell — known for “free tacos for everyone in town” offers when a home teams wins — could sponsor Stories around the sights, sounds and snaps of NBA playoffs in select cities. You can also picture time-sensitive offers, active during the 24-hour window of the Story itself. Think: craziest fan selfie gets playoff tickets, sponsored by Allstate. Moving beyond sports examples, it essentially applies to any business where location and temporal relevance matter. Importantly, the value exchange perceived by users — often the biggest challenge with social and content marketing — have the potential to be more natural in Snapchat. Its signature ephemerality aligns well with time-sensitive offers, for nearby products, flash sales, happy hours, etc. The key is localized, high-engagement marketing with the organic appeal of multimedia social-sharing, an exploding category. Our Stories are also highly curated, giving them a coat of polish and security blanket for brand-sensitive advertisers otherwise averse to social-sharing vehicles. But the interesting question is where this positions Snapchat and its addressable market for ad dollars. Given the engagement levels, quality, and potential audience scale, Snapchat isn’t just competing with Facebook and other native ad platforms… it’s competing with television. And for that reason, its local play will be large national advertisers that increasingly localize campaigns. It could one-day reach the SMB space the way that Facebook, Instagram and Twitter have. But meanwhile it’s showing signs as a powerful brand marketing play, now infused with local. Michael Boland is chief analyst and VP of content at BIA/Kelsey. Previously, he was a tech journalist for Forbes, Red Herring, Business 2.0, and other outlets.